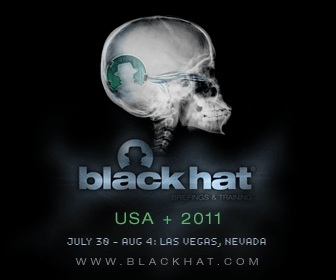 Techwarelabs is on-location this week for the 2011 Black Hat briefings. Be sure to check back every day for toolkit releases, exploits, and security news. Events for this year include McAfee’s TRACE team (Threat Research and Counterintelligence Experts); including Barnaby Jack who exploited ATM machines at last years conference. Returning again this year is Dan Kaminsky who will cover the Black-Ops of TCP/IP, a followup to last years DNSSEC presentation. The Black Hat Briefings remains the biggest and the most important technical security conference series in the world by remaining true to our core value: serving the information security community by delivering timely, actionable security information in a friendly, vendor-neutral environment.